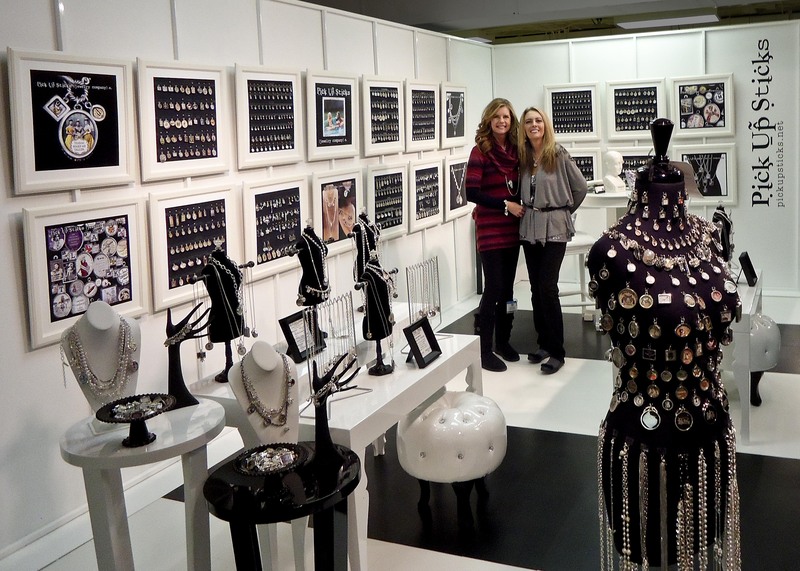 We’ve just finished up a week at the Dallas Market. Now we’re headed to Atlanta’s AmericasMart July 13 – 17 (Building 3, Floor 2, Booth #802, Atrium, Handmade) and then on to Chicago for the Beckman’s Handcrafted Show (Booth #8-6030) July 21 – 24. We always look forward to market for a number of reasons – seeing old friends in our booth, meeting new retailers, trading stories with other wholesale vendors and great food in old favorite haunts as well new restaurants. But the primary reason we go to market is to build relationships and to help you build your business. We know that the more we help you make your retail space a success, the more likely you are to return to Pick Up Sticks. And the better we feel about what we’re doing every day. We’re in the business of building long-term relationships that will help us both succeed. Show up in our booth, and this is how you’ll be treated: Friendly. There’s no pressure to order, we help you buy within your budget, we give you real info on what’s selling best (not the dead-wood that we are trying to get rid of), we let you know if anyone is selling the line in your area, and we’ll even let you know which othe lines appear to be hot and trendy. Best of all, should you decide to order from us, we won’t charge your credit card until the day your order ships. And if you want it shipped quickly? We’re on it. We pride ourselves on being able to ship within a day or two of taking your order if that’s what you want. Instead of a hard sell, we’re going to work hard to educate ourselves about your business by asking “What kind of store do you have? Who are your primary customers? Do you carry something similar? How do you display it, or how to you plan to display Pick Up Sticks?” We know you’re making an important investment decision, so once we’ve learned about your needs, we’re going to go out of our way to provide you with helpful information about our line. Your store’s success is very important to us. We’ve said it before and we’ll say it again and again and again. Wear comfortable shoes. Bring at least two pair of comfortable shoes and change them every day, because even your most comfy ones can get uncomfortable at market. We preach this one because comfortable shoes are a necessity, not an option. Some exhibitors even joke that if the buyer is not in comfortable shoes, they’re not a serious buyer. Use the Buyer’s Guide to create a shopping plan. If you’ve never to market before, you’re going to be overwhelmed by both the size of the physical layout as well as by the myriad of choices you have in new product. You have limited time – be sure to use it wisely and check out everything on your list. If it’s your first time at the Atlanta market, you’re going to find Cash & Carry to be an extremely tempting place to spend a lot of cash in a hurry. If at all possible, we suggest that you walk through Cash & Carry for ideas, but save the real spending there for the end of the show. Once you compare the quality of the permanent showrooms and handmade with Cash & Carry’s products, you may be less inclined to spend the majority of your budget there. This tip comes from our friend, Susan Davis at Grandmother’s Buttons, but its well worth sharing: Shop the Temporaries first. Do NOT spend all of your money in the permanent showrooms. So often the freshest designs come from the young companies with temporary booths. As we said in paragraph 2, have a plan. But be ready to break it if you find a product that’s so new and wonderful that you might decide to create an entirely new area in your store for it. When you’re drawn to something, trust your instincts and place an order. After all, this is why you come to market after all, isn’t it? To find fabulous, fresh new lines for your store AND to expand on the lines that are so successful? Ask vendors how they can support your web, email and social media promotions with photographs or other information. This will save you a lot of research time when you get home. Bring A LOT of business cards, or our favorite… stickers! This way we can make sure your order will be shipped to the right place. Complete and accurate contact information is crucial. Please include the following information: your name, store name, billing address, shipping addresses, fax number and email address. Also bring copies of your tax ID information and business license. If you’re a current Pick Up Sticks customer, bring a list or a picture of your store’s inventory so you know what you’re out of, and what you need to replace. If we had a dollar for all the times we’ve heard, “I know I’m out of several initials, but I can’t remember which ones. . .” we could buy us all dinner in Atlanta! Ask vendors what’s hot this season. They’ve probably already been to at least one market, and they’ve wandered the aisles and done their own research. A good vendor will always lead you to at least one more wonderful idea in addition to their own product. Finally, after all that shopping, you’re not going to want to stand in line at a restaurant. Go to www.opentable.com and make reservations for each night. While it may sound a bit rigid, you’re going to love knowing that you have a table waiting for you at the end of a ten hour shopping day. Don’t know where to eat? Go to www.yelp.com and plug in the city name you’ll be visiting and a search query like “best dinner downtown.” You’ll get dozens of civilian reviews to help you make a choice. And finally, if you can’t make it market this year, take time to browse through our online catalog at www.pickupsticks.net and then call the studio with any questions or for suggestions. We want your Pick Up Sticks experience to be successful and fun. The big news this week at Pick Up Sticks? We’re going on the road! The bigger news? 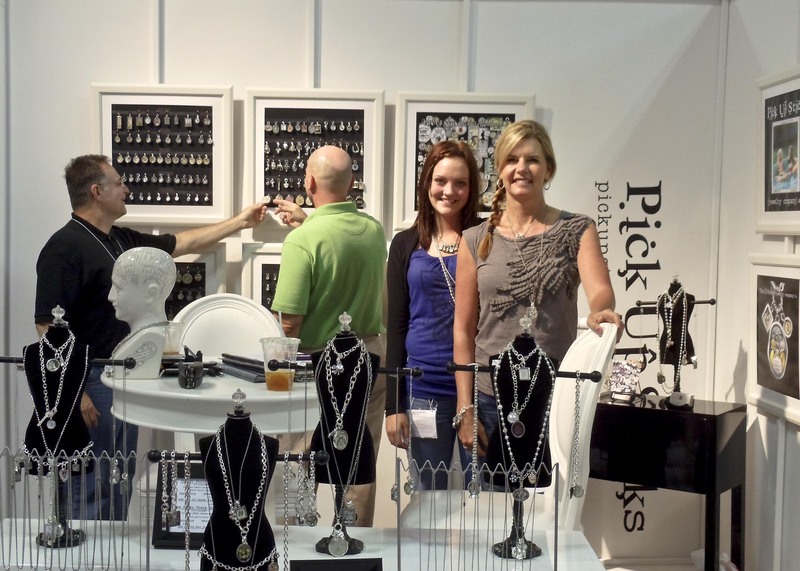 We’re headed back to Chicago to Beckman’s Handcrafted Show from July 30 to August 2 – we’ll be in Booth #8-7029. It’s been a couple of years since we did the Chicago show and we’re really excited to have added it back into our schedule. We love our Midwestern retailers, and we love the city – where else can you go to market during the day and then catch a baseball game and eat Harry Caray’s fries in the evening? Adding Chicago this year meant that we had to leave out the Dallas market. If we missed you in Dallas, we’re hoping we’ll see you in Atlanta at the International Gift Market at Americas Mart (Building 3, Floor 2, Booth 802 in the Atrium from July 15 to 19) or at the New York International Gift Fair (Javitz Convention Center, Booth 9285 in Handmade from August 13 to 17). As those of you who have attended market know, there’s really no comparison to buying at market. 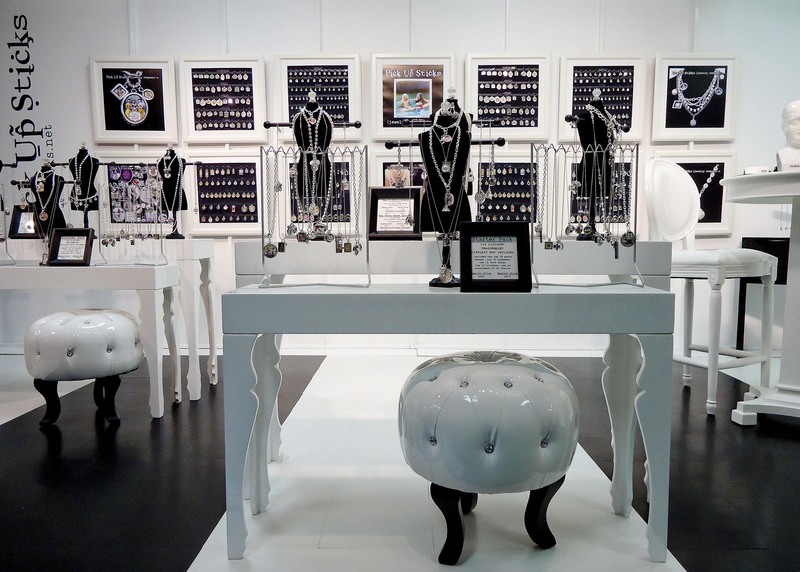 You get to see our jewelry on display, you get to handle and try on the new charms, you have the chance to ask questions, and this year, you’ll get a hands-on demonstration of the new magic clip. You’ll also see how pretty the new spacers make every charm combination. Because our new dots initials and numbers don’t photograph as well as they look in person, you’ll be able to see that they truly are stunning. And best of all, buying at market gives you access to our show specials – something you can ONLY get at market. 1. Comfortable shoes are not an option. Some exhibitors even make the joke that if the buyer is not in comfortable shoes, they’re not a serious buyer. 3. Bring A LOT of business cards, or our favorite… stickers! This way we can make sure your order will be shipped to the right place. Complete and accurate contact information is crucial. Please include the following information: your name, store name, billing address, shipping addresses, fax number and email address. 4. Carry a copy of your Tax ID and Business License in your bag. Exhibitors need this number on file for tax purposes. 5. Please don’t take photographs unless you have permission. Most markets don’t allow any photography. 6. Strategy: Shop the Temporaries FIRST. You’ll often find designs in the Temporaries that can’t be found anywhere else. Most buyers agree that the Temporaries have the newest, freshest and most original products. 7. Next, shop your top merchandise categories. Having a plan ensures you don’t miss floors or aisles you intend to see. Find products that you love. Comparison shop. Trust yourself. Place an order.